Rig Solid is a sans serif typeface created by Jamie Clarke and published by Jamie Clarke Type which it comes in 13 powerful display styles, a range of styles over four weights, over 220 glyphs and supporting almost 200 languages. It is ideal for typographic use, branding, display, headline, logo, packaging, poster etc. Have fun! 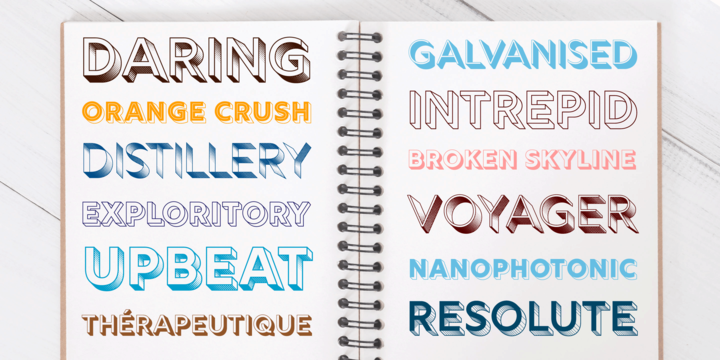 Price: starting from $9 for one font to $70 for all 13 fonts. A font description published on Wednesday, March 14th, 2018 in Fonts, Jamie Clarke, Jamie Clarke Type by Alexandra that has 1,990 views.